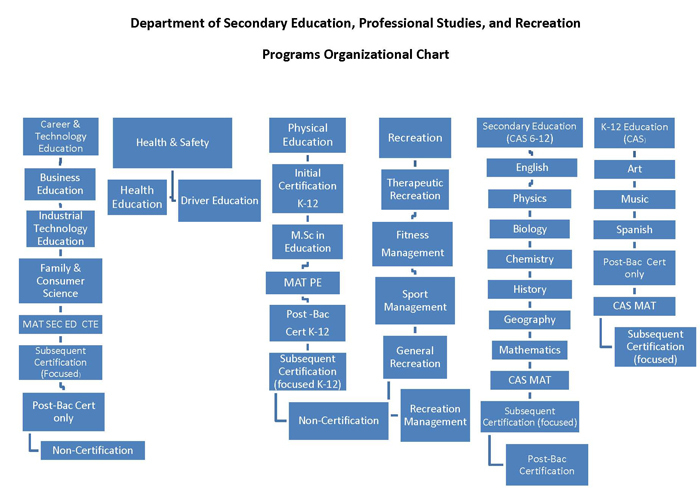 The Department of Secondary Education, Professional Studies and Recreation offers graduate and undergraduate programs. The department offers a Bachelor of Science in Education degree in Physical Education and Bachelor of Science in Recreation. The Physical Education Program provides courses of study in physical education with career opportunities in teaching, coaching, health education, and fitness certification. 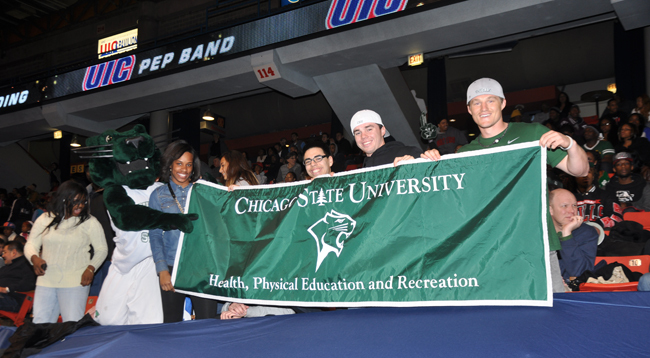 The Recreation Program offers emphasis areas in general recreation, recreation management, sports and fitness management, and therapeutic recreation. This department also offers degrees at the Masters level and a completely on-line degree program.